The central coast of BC is one of the most spectacular and biologically rich places left on the planet – where ancient temperate rainforest intertwines with the living Pacific. 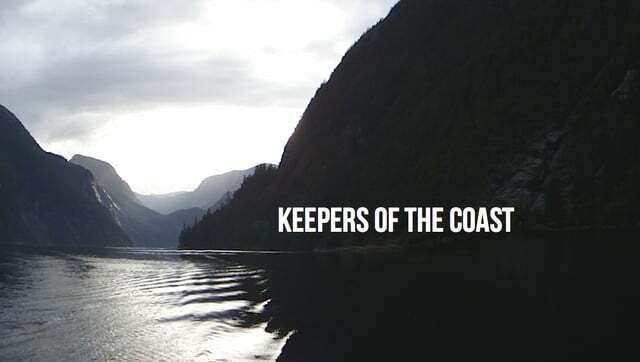 Keepers of the Coast takes a close look at how the Kitasoo/Xai’Xais, Heiltsuk, Nuxalk, and Wuikinuxv Nations are stewarding their marine territories. The indigenous peoples who have inhabited the central coast for thousands of years have joined forces, forming the Central Coast Indigenous Resource Alliance (CCIRA). Keepers of the Coast explores how they are using a combination of traditional knowledge and science to inform marine plans that uphold their indigenous laws and steward their marine resources in a manner that sustains cultures and ensures intact ecosystems, healthy communities and local sustainable economies, now and into the future.